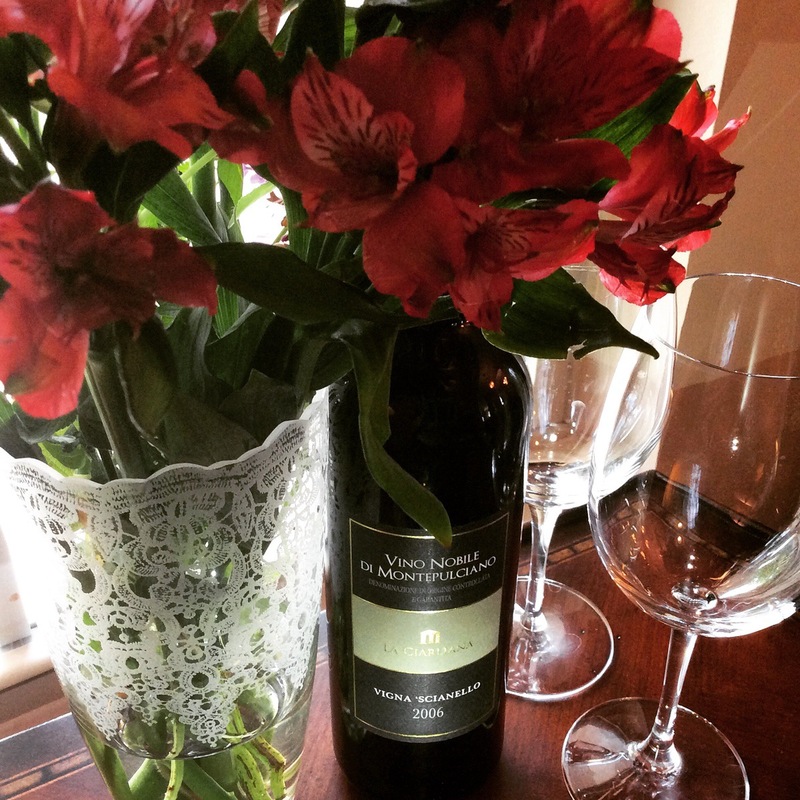 Home Tags Posts tagged with "wineeducation"
So What’s With Sangiovese and all its Names? So I was in Austin to speak at a tax conference (riveting stuff really) and was in and out of town very quickly. 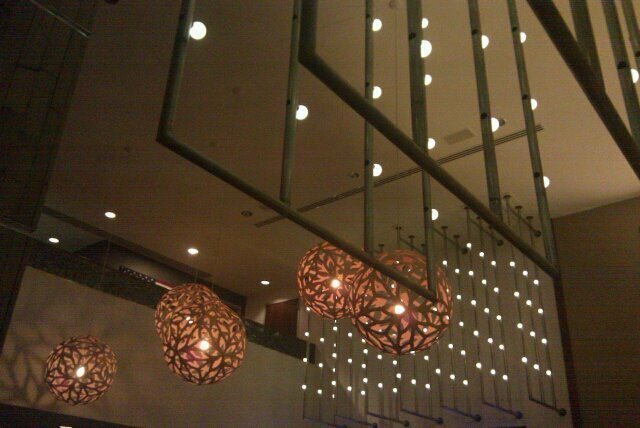 I was staying at the very swanky JW Marriott on 2nd Street right off Congress and had looked at a few different places for dinner. 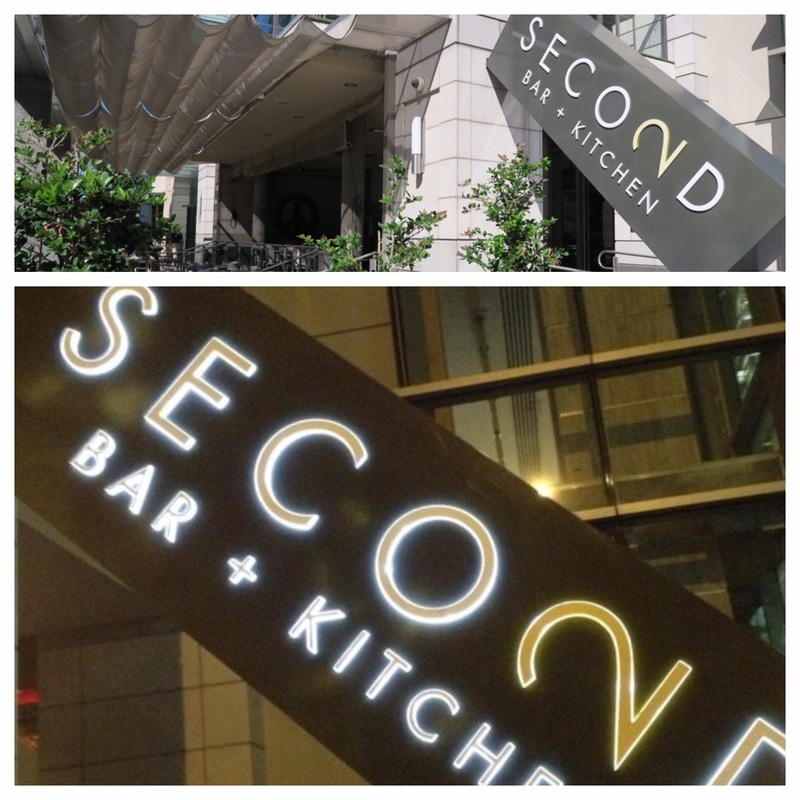 After some consideration, I ended ended up going to Second Bar + Kitchen, which happened to be right across the street from the hotel. Yes, I took two photos as I couldn’t decide which I liked better – day time or night. And just in case you didn’t know, apparently “+” is the new “&”. While the proximity to my hotel was an added plus, I was really intrigued by the menu. Hello, black truffle grits! No to mention pepperoni soup and a burger with ground brisket! 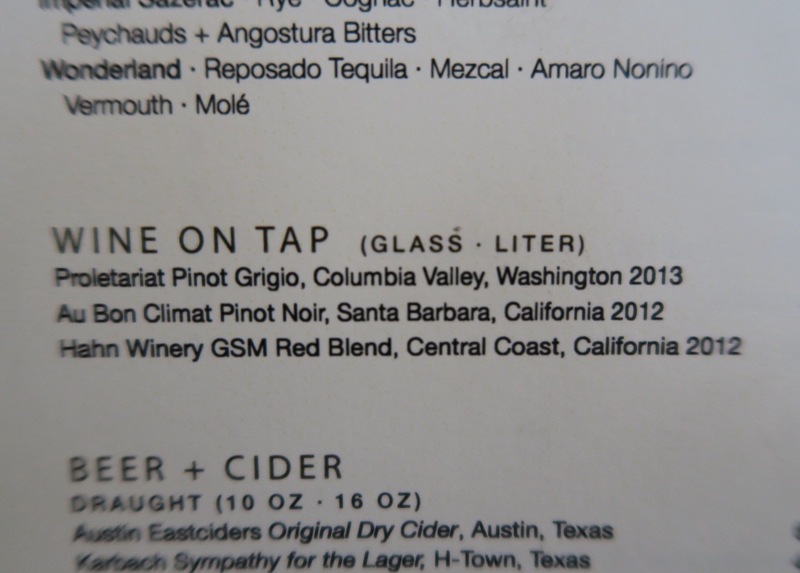 But what really caught my attention was the “Wine on Tap” section of their beverage menu. I’d seen wines on tap at a few other places but was admittedly skeptical. This time, I decided to give it a go. The restaurant had three different wines on tap from which to choose. The first was a Pinot Grigio from Washington’s Columbia Valley. A good start. 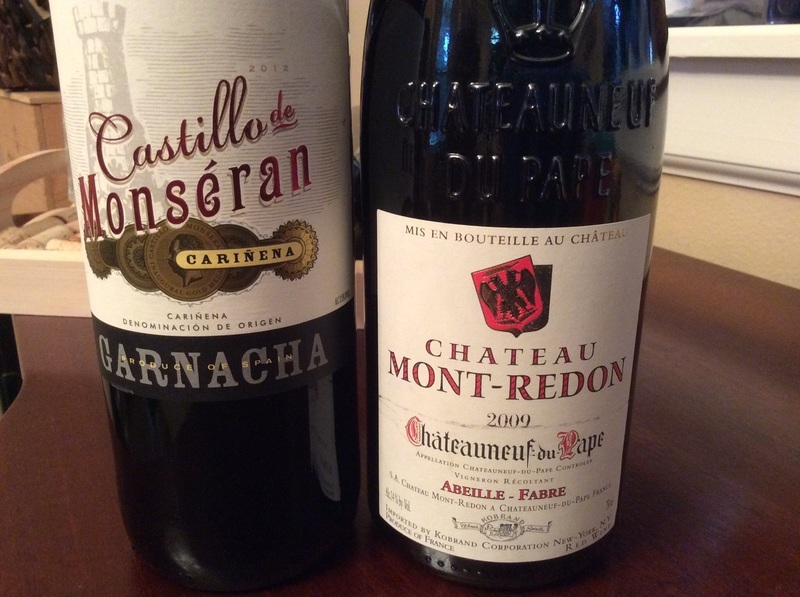 The other two were red wines – a Pinot Noir and a red GSM (Grenache, Syrah, Mourvèdre) blend. Predictably, I was going to have the Pinot Noir as its my “go to” wine and I wasn’t sure yet what I was going to eat. But I am also a big fan of the Au Bon Climat Pinot Noir from California’s Santa Barbara region. 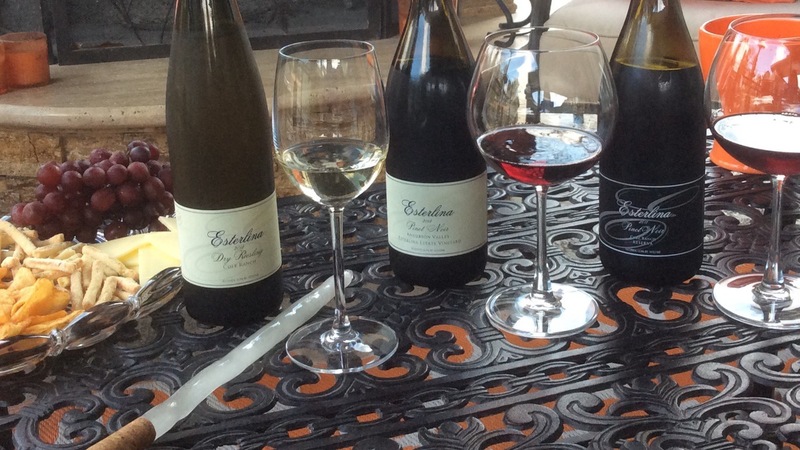 Au Bon Climat has more expensive Pinots from the Santa Maria Valley and a couple of other regions, but I love the one from Santa Barbara. It’s such a nice, elegant wine in the $20 price range which can be tough to do for a Pinot. So I shimmied up to the bar and was all set to order my Pinot when the bartender suggested the GSM. He told me he’d let me try it first but was sure I’d enjoy it. He was right. After a quick taste (easy to do with a tap) I ordered the bold, but approachable GSM blend. 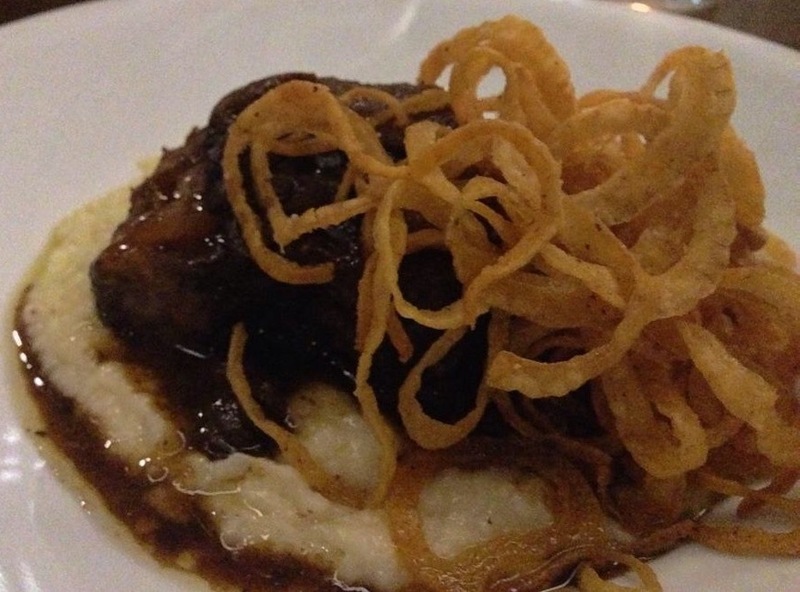 Got myself some some of the aforementioned black truffle grits along with the braised short rib. The brussel sprouts with feta, mint, and bacon were also a nice touch though I wished they were a little more tender. So, I’ve said before how I’m a fan of truffles. My recent discovery of truffle salt (as opposed to truffle oil and truffle butter) has damn near made me increase my blood pressure by 20 points as I’m convinced it goes on anything! The black truffle grits did not disappoint. They were stupid good! It had never even occurred to me to try truffle with grits. Who knew?! OK, so now I have some more foolishness in which to engage. But back to the wine. What I liked about my wine on tap was the fact that it was already opened up AND it was COOL, bordering on almost too cold. But I would much rather a wine be served too cold than too warm. It’s easy to let a wine sit and warm up a bit than to try to do anything with a wine that’s too warm. And I’m convinced that a lot of people don’t like red wines because many places serve them too warm. So now that I was finally trying wine on tap, I found I was quickly becoming a fan. Who knew I’d like my wine from a keg? So you know how there’s always a “national something day” trending on social media? It’s national egg day, dog day, or whatever the heck else day. Well there are also various national and international wine days. And while most of these days have no true significance, I always think it’s fun to try to participate in the spirt of the day. If nothing else, it gives me a reason to step out of my comfort zone and try a wine that I don’t usually drink. Incidentally, I remember a couple of months ago when it was National Lobster Day and telling my husband how we should put a couple of lobsters on the grill. I got the side eye for sure. But today is International Grenache Day and I made sure to do my part and celebrate. First I sacrificed and went wine shopping during my lunch break, and then I made sure I planned a great dinner to highlight the deliciousness of this neglected grape. The “holiday” is celebrated on the 3rd Friday of September each year. There’s even a Facebook page dedicated to it. 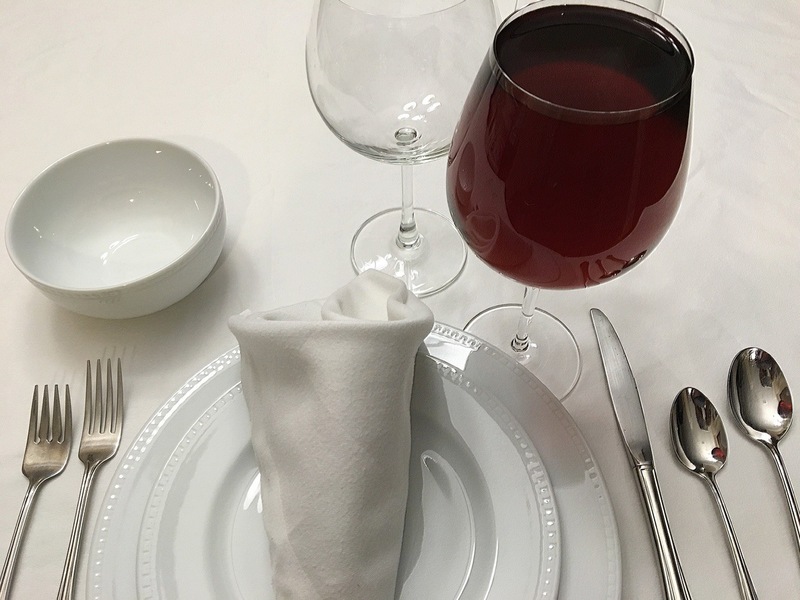 What’s really neat is that various wine regions in countries around the world from Barossa in Australia, to Aragón in Spain (where the grape is believed to have originated), to the southern Rhone in France, and on and on celebrate the day. Very cool that so many are having Grenache, Garnacha, Cannonau, Alicant Blau, Aragones or whatever you want to call it depending on where you are in the world. While widely planted, Grenache is one of those wines that I don’t typically find unblended. The few times that I’ve had it unblended or as the predominant grape in a wine, I was at some random winery. More often than not, it’s blended with other wines. It’s the dominant varietal in the southern Rhone’s Châteauneuf du Pape and the Australians typically make a GSM – Grenache Syrah/Shiraz Mouvedre – blend. Grenache tends to be soft, less tannic (think of big bold Syrah or Cabernet Sauvignon) and less acidic than other reds, very fruit forward, and tends to be high alcohol (due to how it ripens – but I won’t go all geek on ya). When used as a blending wine, the Grenache adds fruitiness and can balance out the big tannins in the other grapes that it’s blended with. In my opinion, this makes it a very approachable wine for beginning wine drinkers or even when you just want something easy to drink. So for my own celebration I opened two different bottles. I really wanted one of them to be a “New World” Grenache from the likes of Washington State or California, but three stores netted me zero, zilch. Well, I did see it in a blend but couldn’t find one with more than sixty percent Grenache and I certainly wanted it to be a bit more than that. One store that did have a bottle that consisted of 96% Grenache was sold out. Oh well. So I opened a Garnacha from Spain’s Aragón region of Carinena. After all, this is where the grape is thought to have originated so a perfect choice for the day. The second one I opened was of course a Châteauneuf du Pape from France. I tend to be a fan. The Spanish wine was around ten bucks while I paid fifty for the French wine. So it was a bit of a price difference. Which did I like more? Well, it depends…And about that fabulous dinner? It’s Friday, I was tired, and my daughter had a swim lesson. So we ordered pizza. And that was good too.